Download the official software from www.microsoft.com/en-au/software-download/windows10 and activate with the license sent by us if you do not have the software already installed. 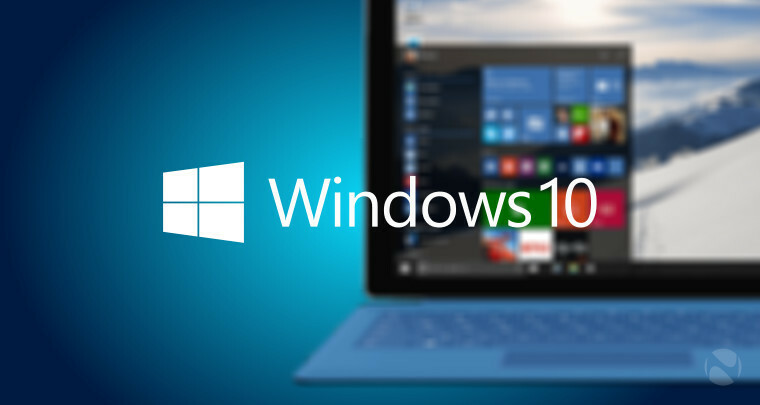 Windows 10 is so familiar and easy to use, you’ll feel like an expert. It starts up and resumes fast, has more built-in security to help keep you safe, and is designed to work with software and hardware you already have. The Start menu is back in an expanded form along with Microsoft Edge and Cortana. It also comes with great built-in apps like Maps, Photos, Mail and Calendar, Music and Films and TV – It’s the Windows you know, only better. While geared toward business customers, Windows 10 Professional is a good operating system choice for home users with powerful computer systems. Digital Software Market makes it easy for you to install Windows 10 Professional with this 1 License version that will arrive to you quickly via electronic delivery. The design of Windows 10 takes the best features from the two prior operating systems, Windows 7 and Windows 8, and incorporates them into an operating system that works similarly well on PCs and tablets. This professional version of Windows 10 has many features that are not found on the Home version, including enterprise data protection, BitLocker and trusted boot for security, remote desktop, domain join and enterprise mode Internet Explorer for business use and the ability to join Azure Active Directory with a single sign-on to cloud-hosted applications. After purchasing this software, you will receive one license activation code and a link to Microsoft’s Media Creation Tool for Windows 10 Professional. Expanded Start menu: The familiar Start menu is back, providing quick, one-click access to the functions and files that people use most, and also a new space to personalize with favorite apps, programs, people, and websites. Apps that run in Windows: Apps from the Windows Store now open in the same format that desktop programs do. They can be resized and moved around, and they have title bars at the top, allowing users to maximize, minimize, and close with a click. Snap enhancements: Have up to four apps snapped on the same screen with a new quadrant layout. Windows will also show other apps and programs running for additional snapping, and even make smart suggestions about filling available screen space with other open apps. New task view button: The new task view button on the task bar enables one view for all open apps and files, allowing for quick switching and one-touch access to any desktops the user creates. Multiple desktops: Instead of too many apps and files overlapping on a single desktop, it’s easy to create, and switch between, distinct desktops for different purposes and projects, whether for work, personal use, or both. Fulfilled within 30 minutes to 3 hours during normal business hours. You will receive (1) license activation code and a link to Microsoft’s Media Creation Tool for Windows 10 Professional. Best operating system ever for SMEs or Corporates. I thought Windows 7 Pro was the best till we installed this at our current organization. We have been using Windows 10 Professional for about almost a month now. Have been suggesting this for all the new computers or laptops at our work and they all love it as well. I was skeptical at the price but this is the real deal. The product key activated with Microsoft without any issues. With this upgrade from Home to Professional being so cheap there is no reason to pay full price at Microsoft.com. The key worked perfectly. I didn’t even end up using the instructions given. I used this key to Upgrade my Windows 10 Home to Professional on my new Asus. It didn’t take too long and was very easy to install. Windows 10 Home Upgrade is an excellent product. I was fortunate enough to purchase a copy from this website. I’m most definitely going to purchase additional licenses from this website. It was simple to install and works great. أنا أحب كم هو سهل لترقية المنزل إلى . إن Windows 10 Professional هو بسهولة أفضل نظام تشغيل استخدمته كمطور برامج ، كما أنه ليس سيئًا للألعاب. للحصول على تشغيل النظام لم يكن أي جهد على الإطلاق ، ولكن لا ينبغي أن يكون أخذ أي شيء على الإطلاق (لتعطيل Cortana) في أي وقت. كما أنني أجد أن ميزات التخصيص ، في حين أنها مرحب بها ومتعددة ، غير منظمة وقليلة بعض الشيء. كنت أحاول الحصول على جهاز الكمبيوتر المنزلي وجهاز الكمبيوتر الخاص بي للبحث عن نفسه لعدة أشهر وما زلت لا أستطيع العثور على الخيارات الصحيحة. Worked as expected, no weird experiences. I used it on my completely new laptop. Fired right up. ذهب التثبيت على نحو سلس جدا ، وكان الترخيص ساري المفعول. لقد كنت سعيدًا جدًا بهذا الشراء ، وأعتزم الحصول على جهازين آخرين يعملان على نظامي Windows 10 لترفيعهما بالإضافة إلى windows 10 pro. This is a great buy. It worked as they promised Upgrade from Home to Pro. I had to chat with customer support but they sent me a link so I could register my software. Awesome. Finally a real version from Microsoft, the upgrade key works well. Thanks guy at DSM. المنتج شرعي ويعمل على النحو المنشود. لم يكن لدي أي مشاكل في التثبيت من الترقية. بالتأكيد نوصي بهذا المنتج لأي شخص يريد الترقية.